“Junk food” doesn’t have to be junky! With this rustic paleo pizza galette recipe (which I have dubbed a “pizzette!”), you can enjoy a classic dinner without the guilt. There’s even an AIP option! Grab the recipe below. If you ask my kids what their favorite food is, they will say “pizza.” Every one of them, every time. And I don’t blame them! Pizza is awesome! But, what’s not awesome is looking like I’m several months pregnant after indulging in artisan pizza on a night out (if you follow me on Instagram, you saw that lovely bloat!). Or inflammation caused by gluten. Or behavioral meltdowns. That’s why this paleo pizza galette recipe is so great- it doesn’t cause any of those problems! Not only is it grain-free and egg-free, it also has a dairy- and nightshade-free option to make it AIP-friendly as well. 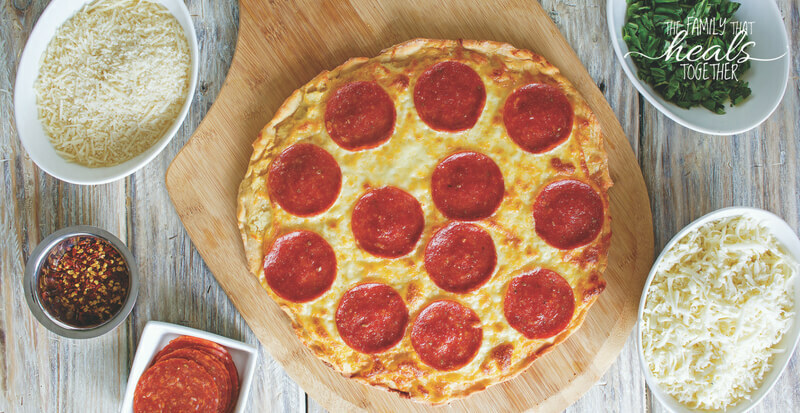 So, even if you’re on a restricted diet, this pizza is for you! It’s simple. Not only is this “pizzette” (see what I did there?) recipe versatile enough to work for most restricted diets, it’s a whole lot quicker and easier than most pizzas. The ingredients can be found at most grocery stores and you don’t have to deal with super finicky dough. The beauty of galettes is that they are designed to be imperfect. They are rustic and a bit sloppy, making them one of my all-time favorite recipes to make, regardless of the filling. It’s tasty. A lot of paleo pizza crust recipes use lots of eggs or almond flour, which not only makes them inflammatory for some folks, but I’m not a huge fan of the flavor. The combo of starchy, fibrous flours in this recipe gives it a nice, neutral flavor. If you’re able to eat some good, grass-fed, organic dairy, adding cheese is the icing on the cake, er, cheese on the pizza? And if not, I’ve got you covered there too. It’s fast. While I can admit there’s nothing like a warm, yeasty, fresh pizza dough, there’s a lot to be said for healthy food that comes together quickly. You won’t have to wait for this dough to rise, and the whole thing comes together in just a few minutes. 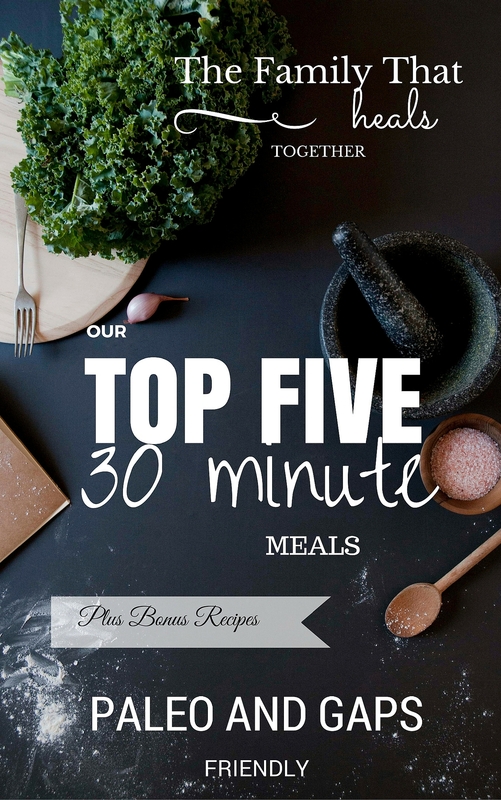 After all, I created this recipe in the middle of a busy sports season, when I was desperate for dinners the kids would love that would still let us get out the door quickly. And since this recipe is so fast and easy, it’s a great chance to get the kids involved in the kitchen! I say all the time that teaching your kids to cook is the best gift you can give yourself. My ten-year-old is super helpful in the kitchen and I wouldn’t have it any other way! For little guys, you can let them help you place the toppings, and for older kids, they can most likely make this recipe on their own! 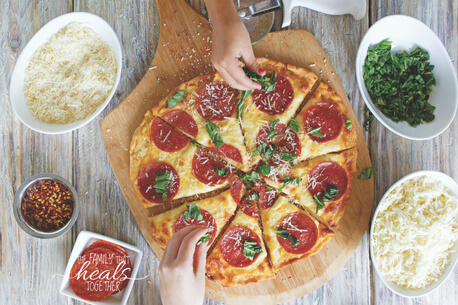 Even better, divide the dough recipe in half and let your kids make their own personal pizzettes. My kids LOVE making their own individual pizzas. You’ll definitely need parchment paper to line the baking sheet and help roll out the dough. I like this unbleached parchment paper. For best results, I prefer using a pizza stone, which gives more even heating. Because arrowroot and tapioca flours have slightly different properties and give different results, I’ve used them both in this recipe for best results. Coconut flour adds some fiber for texture. You can easily find healthy, clean, and paleo-friendly pre-made pizza sauce (like this) these days, however, if you prefer to make it from scratch, just combine some plain pizza sauce or puree with your spices and herbs of choice, like garlic powder, oregano, thyme, basil, and salt. You can add a touch of honey, maple syrup, or coconut sugar to cut the acidity. I generally use about a cup of tomato puree and start with 1/2-1 tsp of the other ingredients. Lard is a fabulous choice for making pastry dough type recipes, which is why I chose it for this one. However, all lard is not created equally, so look for lard from pigs that have been pastured and are free-range like this. Other fats like palm shortening or ghee should work as well if you avoid pork. Finally, in order to keep the recipe egg-free and still get the dough to hold together, we use gelatin. I like this one, which is from grass-fed cows and is routinely tested to be free from heavy metals, pesticides, and other harmful contaminants. If you need to be dairy-free, leave off the cheese and add extra vegetables (I love sliced bell pepper!). If you’re on an AIP diet/need to avoid nightshades, skip the pizza sauce and cheese, and use this white sauce recipe instead. Be sure to pay close attention to the spices used in store-bought meats like pepperoni, as they often contain nightshades. Made with an AIP-friendly white sauce and still delicious! 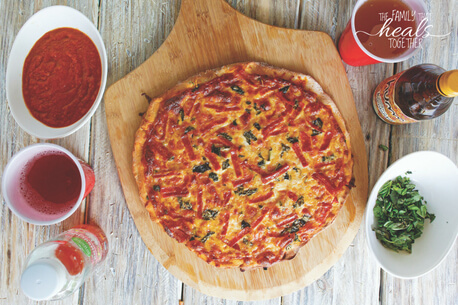 Serve this pizzette up with some booch for the perfect replacement for the typical pizza-soda combo. Mix together dry ingredients (coconut, tapioca and arrowroot flours, gelatin, and salt). Blend in lard using a fork or pastry blender. Mix water in, stirring until a ball of dough forms. Wet your hands, then place the ball of dough on a parchment-lined pizza stone. Flatten the dough with your palms, then place another sheet of parchment over the top. Using a rolling pin, flatten the dough into a big circle. Roll out to about 1/4" thickness. You can use your hand to run a little more water around the edges if it threatens to crack. Remove top parchment and prepare the fillings. Spread sauce over crust, leaving 2-3 inches bare on edges. Top with meat, basil and cheese or any additional toppings of choice. Using the parchment paper underneath, carefully fold up the edges of the crust over the edge of the fillings, again spreading a little water over the crust if need be. Cook at 425 for 25 minutes. To make this pizzette recipe AIP, omit the pizza sauce and shredded cheese and use this cauliflower sauce recipe instead.